Even with the threat of impending doom (yes, another snow storm) our Bridal Spectacular on Sunday at Fantasia in North Haven rocked. The weather held out and a packed venue of brides enjoyed cake tastings, great food and classy fashion show. Check out some of the bride reviews pictures from the expo. “Actually I plan on switching my venue to have it at Fantasia! We are using the children’s boutique (I forgot the name) for my flower girl dresses! We are also using one of the florists, but I’m not sure which one yet! Check out the Quick video recap of the recent Designer Bridal Showcase expo at the Farmington Marriott on April 28th. With 41 of Connecticut’s top wedding professionals on hand to meet local brides-to-be, the bridal event on Sunday turned out to be another successful area bridal show event. When the after noon came to a close and the dust settled, vendors were sent a big list of 271 brides to follow-up with. After browsing and comparing expo vendors for the first part of the event, brides and thier guests enjoyed crazy contests for cool prizes the an exquisite Catwalk fashion show. – Kevin and Kevin from Forever After Studios for the awesome video shots at the expo. – Corrine from Corrine Weddings for providing gowns, models and producing an outstanding fashion show. – Dave from DK Productions for the Fashion Show lighting. Choosing respected wedding experts from a CT Bridal Show 2013 for your special day can be an mind-boggling activity. Although browsing through a myriad bridal websites is usually an quick choice to come across bridal providers, it usually leads to a lot more frustration for the bride-to-be. One of the most effective strategies for brides-to-be to choose and review wedding companies is at a CT Wedding Expo. These enjoyable wedding events incorporate prizes and a gown catwalk show, allowing brides to connect with experts in person, ask questions or simply collect their information to take home for later. In this article, we have outlined several of the leading and respected CT wedding companies that will be exhibiting at the upcoming Romantic Styles Bridal Expo. The expo takes place on February 17, 2013 at the popular Fantasia Banquet Facility in North Haven. These trusted wedding professional, although not listed here in any particular order, have earned respect and are rated as excellent among brides. Here are top experts that will be on hand at the 2013 wedding expo in CT. They are posted by category and have all been validated as honest and respected businesses for Connecticut brides. Kim’s Cottage Confections will create the ultimate scrumptious wedding cake creation for CT brides. For your unique cake creation, just provide Kim your dream wedding cake suggestion, pick out one of their beautiful cake designs in the web gallery, or visit and flip through the photo albums at the bakery shop. Then, simply tell Kim and her cake experts what you want and they will make sure that you are compeletly in love with your delectable wedding cake. Also, you can amaze your Groom and guests for the reception with a Groom’s Cake. 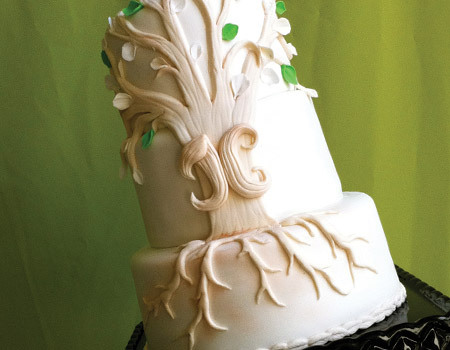 Kim’s Cottage Confections is well known for creating picturesque and delicious Groom’s Cakes. Typically presented on the place card table or next to the wedding cake, they are certain to generate a discussion! Regardless of what type of wedding, the seasoned staff will guarantee excellence with a classic one of a kind wedding. Lights, Camera, DJs has a reputation to take care your every need and wish. Mitzvahs, birthday parties, corporate gatherings, school events and that special wedding day all deserve the finest attention to detail. Up to date lighting will produce an ambiance that helps make all aspects of your wedding venue sparkle. The photographers will catch each wonderful moment and enable you to relive all of them time and time again. Ganim’s Florist specializes in wedding flowers and bridal floral design that will help make your celebration gorgeous. As part is part of a network of “Real Florists”, Wedding Floral Expert Merrilee Ganim has a team of certified designers on staff at all times. A favorite with CT brides, Owner Merrilee Ganim is a graduate from the CFA Floral School and manages the Floral Design department at Ganim’s Garden Center. Ganim’s Florist will work within your price range and will certainly customize a floral package to your individual style and color palette. For classic and exquisite wedding gowns and dresses in CT, Bliss Bridal has specialized in wedding gowns with brands that include Mikaella, Justin Alexander and Lusan Mandongus. Centerally located in Cheshire CT, Bliss Bridal is a complete solutions wedding shop that are experts in outfitting brides, wedding party, and moms (of the bride and of the groom!). This top reviewed and rated bridal shop in Connecticut also has dresses for the flower girl and junior bridesmaids. With Bliss Bridal at the CT Bridal Show 2013, you can get the ideal compliments to wedding attire as well, as they have distinctive makers of veils, accessories and shoes to perfect each and every wedding day outfit. As a verified CT wedding professional, Russell’s Photography Studio has delighted engaged couples with gorgeous classic and candid wedding photography. The highly trained photographers at Russell’s work tirelessly to utilize flexibility in their wedding photographs by utilizing both traditional and photo-journalistic styles to every event they cover. With just about every bride and couple having diverse preferences and ideas for their wedding, it is generally best to sign up for a Connecticut wedding expo to match up and evaluate experts first hand. Learn more about these top rated wedding specialists at the this hot Wedding Expo. This is THE EVENT for brides to plan a wedding all in one great place. You will be able to taste truly delicious desserts – and discover the leading respected CT Bridal Show 2013 wedding suppliers. CT Bridal Shows presents: Get ready for Prizes and Giveaways at the Bridal Extravaganza. An exciting event is planned where you’ll find wedding fashions, verified wedding professionals and cool ideas. Then you’ll take in gowns and dresses with a fast moving fashion show… all topped off with prizes galore. And that’s only a tiny part of the prize drawings on show day. Bliss Bridal specializes in bridal gowns with labels that include Mikaella, Justin Alexander and Lusan Mandongus. Bliss Bridal is a full service bridal boutique is located in the center of Cheshire. They specialize in outfitting brides, attendants, and mothers (of the bride and of the groom!). Bliss Bridal also carries flower girl, ring bearer and junior bridesmaids selections. You will find the perfect compliments to gowns as well, as we carry unique designers of veils, jewelry and shoes to complete every ensemble. You can get more info from these top CT wedding professionals at the upcoming CT Wedding Expo for brides. This is THE local event for brides of the season and you can sample delectable cakes – and find the top trusted local wedding vendors. …and plan most of your wedding in a single day? Well, now you can. That’s why for a limited time you can get 2 Free Tickets, cool bonuses and VIP Entry to the CT Wedding Expo Extravaganza. This is THE local event for brides of the season and you can sample delicious food & delectable cakes – and find the top trusted local wedding vendors. So, if you’re planning a wedding come out and join us and maybe even get some of the giveaways at the show. Finding trusted professionals for your wedding can be an overwhelming task. While searching through countless wedding websites is always an easy option to find services, it often leads to more confusion for the bride. One of the best ways for brides to find and compare wedding providers is at a CT Wedding Expo. These fun events that include prizes and a fashion show, allow brides to meet pros face to face, ask questions or just take home brochures for later viewing. In this post, we have listed a few of the top trusted CT vendors that will be displaying live at the Wedding Wonderland CT Bridal Show on December 2, 2012 at the Farmington Marriott. The vendors are not in any particular order, but by some of the most popular bridal show categories. The following CT Bridal Show vendors are listed by category and have all been verified as trusted companies in the CT wedding community. For over twenty years, Russell’s Photography Studio has provided customers with wedding and candid photographs. The photographers at Russell’s strive to employ versatility in their work by applying both classic and photojournalistic elements to each event they cover. Boppers Entertainment has more than 30 years of experience creating magic moments for brides and grooms and will work with you to create your perfect party. Whether you are looking for a high-energy reception, a more reserved, intimate atmosphere or a combination that is energetic yet elegant, Boppers Entertainment will meet with you and work with you to create an ambiance that reflects your style, taste and character. A Little Imagination Cakes began in early 2009 with Hope Wright and, you guessed it…a little imagination. Originally a part-time caker for friends and family, Hope soon found herself dedicating more and more of her time to confectionary creations. Exclusively Honeymoons offers a wide variety of packages, from Destination Weddings, to exotic honeymoon destinations. Owner and Honeymoon travel expert Laura will make sure that every step of Honeymoon Planning is perfect and every last detail is taken care of so there are no surprises – only the fun ones! Video Images is a family run wedding photography & video business specializing in cinematic wedding productions, and both traditional & photojournalistic photography. There is no one perfect vendor for every couple. Every bride and couple has different tastes and personalities, so it it always best to attend a show to compare and ask lots of questions. A treat is in store for brides attending the Wedding Wonderland CT Bridal Show on December 2nd at the Farmington Marriott. The bridal fashion show will be produced by the well known and classy bridal shop Bliss Bridal of Cheshire, CT.
Bliss Bridal has produced the bridal fashion shows at past CT Bridal Showcase expos and were a favorite of show attendees. “My fiance and friends and I all enjoyed the fashion show part of the expo. I was looking for ideas for bridesmaid dresses and liked that they were modeled too,” reported one of the brides that attended. As a local CT wedding shop, Bliss Bridal specializes in bridal gowns with labels that include Mikaella, Allure Bridals and Allure Couture, Justin Alexander and Lusan Mandongus. As experts in the bridal gown field, owner Jessica will work with brides to offer expertise and make the selection process painless and fun. The exciting CT Bridal Show will showcase the fashion show with a mixture of top bridal gowns and bridesmaid dresses. Attending brides will get to see first hand models wearing and showing current dresses from top wedding gown designers. Brides can get Discount Tickets and VIP admission to the Fashion Show by Bliss Bridal at the CT Bridal Showcase. The Expo is on December 2nd and doors open at 12:00 noon. There will be prizes to go along with the fashion show including a Grand Prize of a Resort Honeymoon. Friends and family members are all invited for a fun afternoon with Bliss Bridal Fashion Show and CT Bridal Show at the Farmington Marriott. Are you a bride in Connecticut searching for trusted CT wedding vendors and Waterbury Wedding Venues? The recent schedule bridal expo has been upgraded to a larger location with more vendors, fashions and bride giveaways. Announcing the new bridal show date where you can find Connecticut Reception Sites and Waterbury wedding venues. Due to an overwhelming response by Waterbury CT area brides signing up for the Bridal expo at a prominent CT reception site, show producers madethe important decision to move the wedding expo to the Marriott. The Waterbury CT bridal location that were used in the past for the expo were not large enough to accommodate the large amount of brides that wanted to attend the December 2 wedding expo. In addition to the ambiance, leading bridal vendors, and the chance to talk to several of the finest in the wedding business, for this wedding reception site near Waterbury and Hartford you can get two free tickets with bonuses to the event. “The expo providers have put a lot of time and hard work into creating an event valuable and fun for for the brides that visit,” says Morin. “Show vendors will be offering enormous amounts of prizes and discounts to brides on the day of the wedding show.” The yearly Wedding Wonderland Expo at this new reception venue is a must-attend occasion for any bride, groom, wedding planner, or those in the bridal market looking for the finest in wedding trends and solutions. Top rated CT Wedding Professionals can also display their products and services to local CT Brides. CT Wedding Expos are open to vendors but spaces are limited so its best to get vendors info and reservations early. At this event you’ll be sure to find CT Wedding reception locations, Hartford area wedding vendors and Waterbury Wedding Venues. And i won a necklace.. can't beat that. It was great. I loved the photo booths. I love the way everything was presented. It was a great experience for my first show. And i won a necklace.. can't beat that.